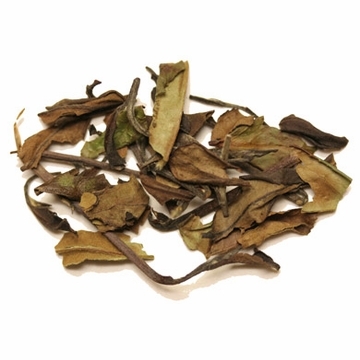 This Fujian white tea is made from sun-dried leaves that have been partially steamed. This tea is plucked during the period of April, May, and June. Only two distinct types of leaves and the bud are selected from the branch to make this tea. Research has shown the white tea to be a rich natural source of antioxidants with a high level of flavonoids and polyphenols. Free shipping with purchase over $60. I love the subtle smoothness of its flavor and enjoy this tea following meals and first thing in the morning. 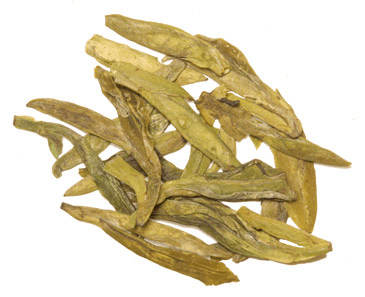 An earthy, yet mild white tea. It tastes rich without being overpowering. This tea guarantees a good brew and can be steeped twice without compromising flavor. This is a great afternoon tea with great flavor. I love the flavor and robustness of this tea. this is rapidly becoming my favorite tea. tastes great and has the benefit of being a green tea, so it's so good for me too. After drinking your pu-erh tea for a while, I thought I'd venture out into the world of teas and try the Longevity Brow. Quite different from the pu-erh. 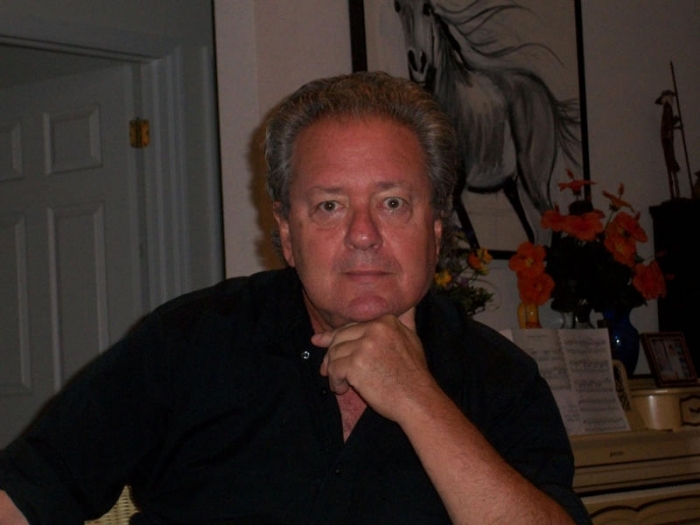 Soft, gentle, not smoky, with a clean finish. Next time I order, I'll ask for both. We have been buying longevity brow for about 3 months now. 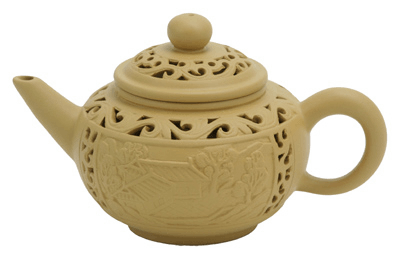 It has a great taste for a hot or cold tea, a wonderful aroma, and a great price! 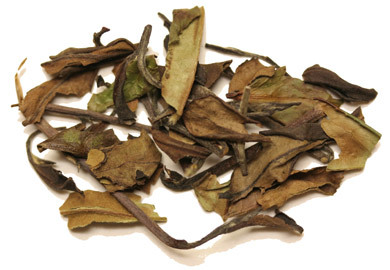 The dry tea is a mix of broken leaves and stems with a pleasant aroma. I was surprised at how much I needed to make up my usual 1.1g tea / 4 oz water ratio. Weighing this tea is recommended to determine amount to use. The brewed tea has a amber-orange color. When brewed for 1 minute at 170 degrees F, the tea had a pronounced woody taste and aroma. Reducing the temperature to 160 degrees removed the woody taste and aroma, exposing floral and grassy qualities. I usually get 3 steeps per batch, of 1 minute, 2 minutes, and 4 minutes. Once I found out how to reduce the woodiness, I find this an enjoyable drink. Great white tea; doesn't need anything else added to it. Really a wonderful cup of tea. Shou mei offers varying levels of complexity with different brew times and styles. My preferred method is gongfu style with shorter infusions. Great flavor and aroma! Economical! I was really surprised that I would grow to like this tea so much. It has grown to be my favorite. It has a wonderful full flavor and the aroma is delightful. It never seems to get bitter or harsh in any way. It is very economical since it can be resteeped 3 to 4 times. I brew it with 190 degree water for 2.5 minutes in a stainless steel infuser. It takes a large infuser since this tea needs a lot of room. I weight my tea and use 2.5 grams of tea for each 8 ounce cup. If you don't weigh your tea it takes about 2 heaping teaspoons of the tea per cup. It is a very light and large leaf tea, so it can be difficult to measure. Be sure to use enough. It works for me at anytime during the day. It has a bold enough flavor for breakfast, but it also hits the spot midday and evening. I don't really know how the caffeine level compares to other teas, but it doesn't bother me as much as some other teas do. Try it, I think you will like it.